Located in East Lyme amidst one of the most picturesque areas of Southern Connecticut, the Mystic region and Southern Rhode Island, il Pomod’Oro Restaurant & Pizzeria beckons Italian food aficionados old and young with an intoxicating selection of dishes sure to tantalize everyone’s appetite. At our charming Italian restaurant, every menu item – from appetizers, soups and salads to specialty pizzas, handmade pasta, calzones, sandwiches, ocean-fresh seafood, entrees and mouth-watering desserts – is lovingly created using only the finest, freshest ingredients and served in a warm, inviting, family-friendly atmosphere that welcomes kids and romantic diners alike. Our authentic Italian chef brings a little taste of the old country to East Lyme as he cooks with all-natural, organic ingredients that include Himalayan salt, while owner Petrit Marku injects a belief in high-quality service, experience and food into the business to transform it into something truly special. Here’s the il Pomod’Oro difference: We think of our customers as members of our own family, and value their business and relationships in the same manner. We are not a chain Italian restaurant, nor will we ever be part of a franchise organization, so we can focus on our customers and providing them the best-quality pizza and Italian cuisine in all of Southern Connecticut. 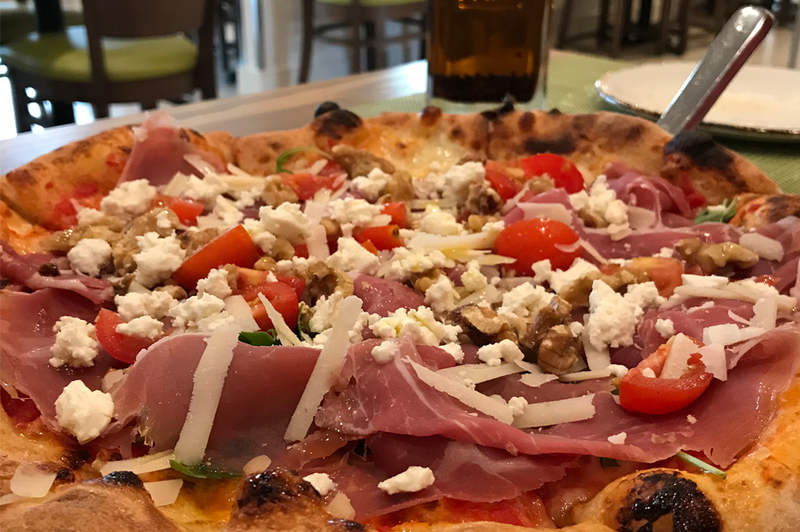 There is absolutely nothing like authentic pizza and Italian food, and here at il Pomod’Oro we constantly bring this philosophy to vivid, delicious life. Our recipe for success is actually quite simple – we use only the finest choice ingredients, our bread is always fresh, our sauce is homemade with our own blend of herbs and spices and we use only fresh vegetables. Believe us when we say that Italian lunch and dinner has never been like this, served in a relaxing, comfortable atmosphere and offered on a menu that transcends the ordinary pizzeria approach. Start your meal with one of our many antipasti dishes, soups or salads, and move on to our wood-fired pizzas which are hand-tossed and homemade, with a choice of toppings that will please anyone’s palate. 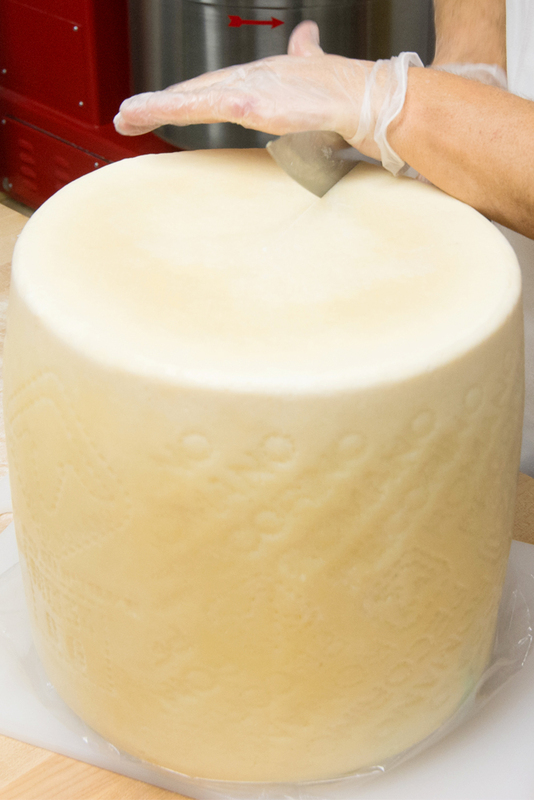 Pastas, entrees, sides, desserts and even a gluten-free menu…if you’re in the mood for it, il Pomod’Oro can create it! Rounding off our incredible menu is a full bar boasting a comprehensive beer, wine and liquor selection. When you dine at il Pomod’Oro, you will be engulfed in the “full experience” that encompasses a relaxing atmosphere, cleanliness, professional service, amazing cuisine, Italian music and that authentic flair missing from far too many Italian eateries. We invite you to come experience il Pomod’Oro Restaurant & Pizzeria for yourself, and discover everything you’ve been missing when it comes to casual yet premium Italian dining in East Lyme. 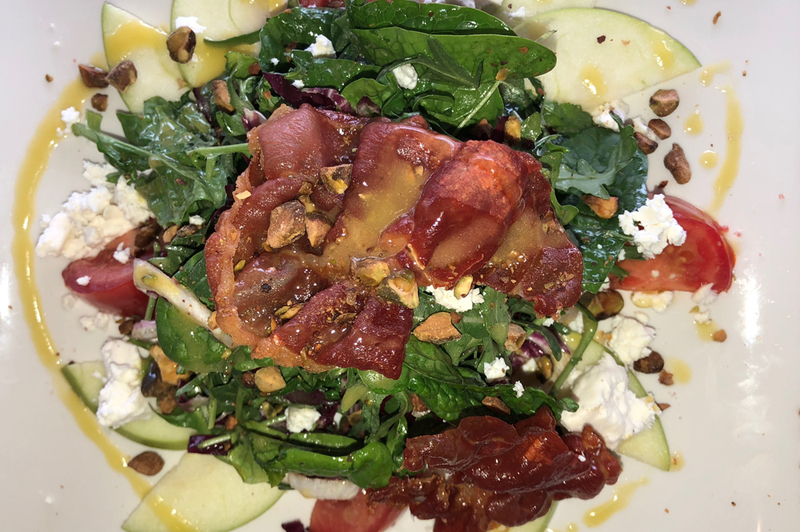 Did you know we offer the same amazing food and experience in North Stonington? Visit our sister location, Buon Appetito Ristorante & Pizzeria, if you are looking for authentic Italian with a Tuscan flare.